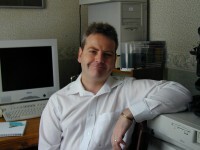 Bernie Elbourn Bsc Acgi is the Proprietor of Elbourn Computer Systems. Bernie graduated with a Computer Science Bsc with Honour’s from Imperial College in 1987, and is an Associate of the City and Guilds London. Bernie followed a career with leading companies over 20 years including Logica, and British Gas. Berni worked in technical, project and managerial roles. This experience ensures that your organization will benefit from the most appropriate advice and support for your requirements. Elbourn Computer Services was established in Woking in 2002, and moved to Broadstairs in 2013.